With continuous advancements taking place in the world of web design and development, we’re fortunate enough to have an easy access to some of the finest Responsive Web Design frameworks. Unlike the conventional means of setting out web design concepts, using a suitable framework serves as the right approach for building fine quality web solutions faster. Serving as a package comprising of a well-defined structure of files and folders of standardized code; a framework can be efficiently used for creating websites that look perfect and function in the desired way. My motive behind writing this post is to make you familiar with some of the leading Responsive Web Design frameworks which have catched the eye of every web design professional residing in different corners of the world. 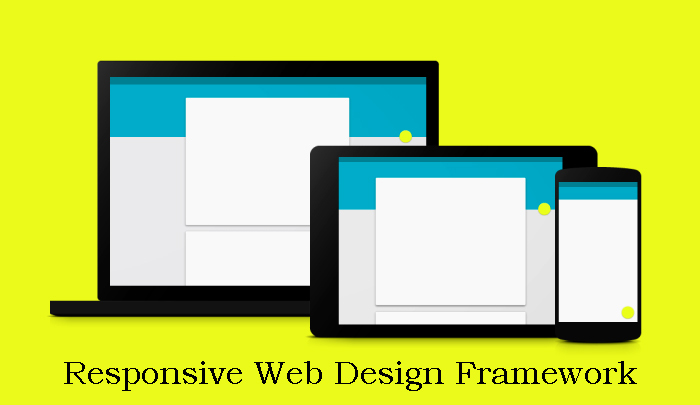 So, let us get straight to our list of six best Responsive Web Design frameworks. A super simple, responsive framework built for all types of devices, Base framework is being shipped as a lightweight and minimal software. That means, you can save a lot of time that’s otherwise consumed in overriding styles for creation of an eye-catchy theme. Solid features which make Base one of the most preferred responsive design frameworks include: cross-browser compatibility, awesome documentation, built using mobile-first approach and a solid foundation that’s built of Normalize.css so as to ensure the inclusion of all basic styles. As an open source CSS authoring framework, Compass comes with a cleaner markup and a wide range of reusable patterns. You can use the framework for creating sprites and beautiful typographic rhythms. Compass framework uses Sass which generated well formatted CSS and makes it convenient for you to orhganize and maintain your stylesheets. If you’re about to embark on a small web project, then Skeleton can turn as the best choice of framework. With Skeleton, you can style some critical HTML elements. Plus, there is a 12-column fluid grid with a maximum width of 960px. This width gets skrinked in accordance to the device/browser that is being used for viewing the web layout. One of the best things about using Skeleton framework is that you’ll be able to change this max width using a single line of CSS and all the other columns would get resized in accordance to this modification. Toast is a CSS framework which comes with a 12-column responsive grid that can be used for creating stunning layouts. The ‘box-sizing’ feature allows you to add padding and borders to your grid, without breaking anything. Frameworks serve as handy options for lowering the pressure of a complicated web design process. Offering you the convenience of building a website using a grid-based layout, these frameworks are a must-have in your web design toolkit. Hope the list of responsive web design frameworks mentioned above would prompt you to choose a framework that suits your upcoming web design project appropriately. Jack Calder is a responsible professional assocaited with Markupcloud Ltd from so many years. He is responsible for converting PSD to HTML in a very less span of time. Jack loves to watch thrilling movies in his free time. He also roam around with his friends.